takes two to five working days. At Christmas shipping may take longer. 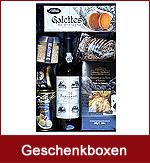 The shipping costs depend on the giftt basket's weight. All baskets are sent insured. We will never disclose and/or sell your information to anyone. The information we collect from you is solely for the purpose of processing your order. Single basket orders received by 12 p.m. CET Monday through Friday are usually shipped the same day. 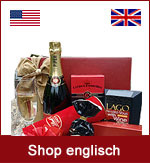 For international customers we accept VISA, MASTERCARD and Paypal. 48 hour notice is required for any reason you need to change or cancel your order. Please notify us immediately by phone at +43 / 699 / 140 150 35 or e-mail us at office@vonherzen.at. We try to accommodate our Customers with the fastest yet most efficient way of shipping orders. Therefore if the gift has already been shipped regardless if cancellation was made within the allotted 48 hours we are unable to make a refund or change to order. If order was not shipped we would be happy to fill your request for cancellation. No questions asked. A "No return policy" is essential for all Gourmet Food Baskets. All other purchased gifts must be returned unopened and have to be returned within 7 days of the receiving date in order to receive a full refund. Shipping Charges are not refundable or reimbursable. From time to time, esp. in December, orders come in at such a pace that we temporarily run out of a particular basket item. When this is the case, we do reserve the right to substitute another product of equal or greater value to ensure your basket gets out on time. Thanks for your understanding. We do not ship food to America or other countries that have have agricultural restrictions which apply to certain plant material. 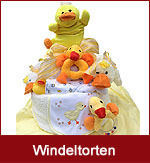 In these cases we can help you and recommend gift basket designers in the required countries.